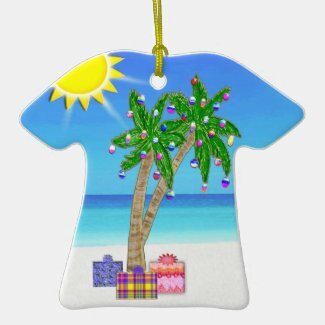 Original Designed Florida Christmas Cards and Florida Ornaments by Zazzle Pro Designer Little Linda Pinda Designs. 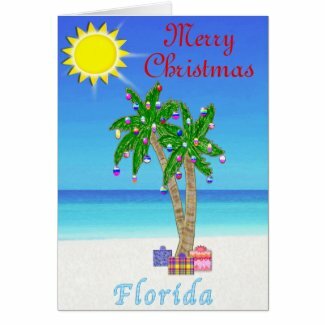 Cheerfull Florida Themed Christmas Cards are so delightfully cheerful, you are bound to get a smile when they open up the card. I take photographs of the Florida Beaches and I paint and apply cool graphic art to these Tropical Themed Gifts. Type in YOUR CITY, STATE or NAME in the TEXT BOXES under the “Personalize it” area at Zazzle. Zazzle offers the Best Personalized Christmas Cards. They use heavy paper stock, outstanding Crystal Clear Printing and Fast Service. This has earned them an A+ BBB, Better Business Bureau Rating and High Reviews from customers. Many can be Personalized by You. Just Type in Your Message, Name, City or State in the Text Boxes that are located underneath the “Personalize it” area to your right of each product once you are at the product page on Zazzle. Some of these have an actual photo of a Florida Beach with the Graphics and Painting Added. Be sure to look at the backside of the Florida Ornament. If it is customizable, you will see the TEXT Boxes under the “Personalize it” area. 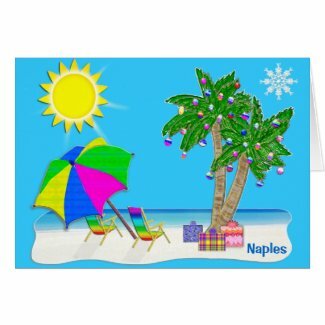 Just Type in YOUR MESSAGE or Words in the TEXT Boxes for really special Florida Christmas Gifts. I am so blessed to be living in such a gorgeous state with awesomely sunny weather most of the time. I moved here for my health to get that good old Florida Sunshine. 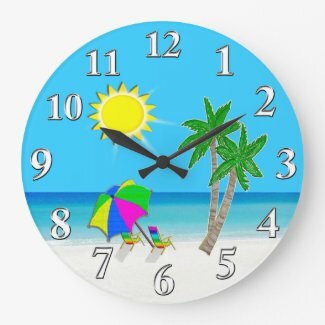 I appreciate it so much that I decided to create products at my Zazzle store with the Beach designs. If you see a design that you like and would like me to place it on another Zazzle item, let me know. I will be happy to help you customize, change or create new Zazzle Personalizable Gifts. See my Contact Information Below or Click this Contact Me Button. By Clicking on this Image, you will see ALL of my Tropical Christmas Gifts. Please don’t hesitate to ask me to put any of my designs on other items at Zazzle. You will really appreciate Zazzle’s 100% Love it Guarantee backed by their A+ BBB, Better Business Bureau Rating. Amazing Crystal Clear Printing on Quality Products. 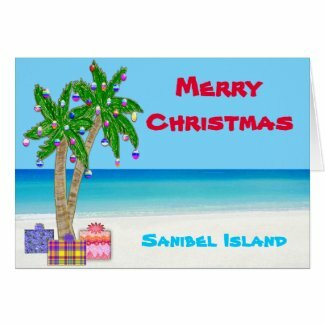 They use heavy card stock for these Tropical Christmas Cards. I am proud to be a designer and associate for such a great company. I could be selling my designs at other printing companies but I chose Zazzle because of their Mission to be the very best Personalized Printing Company around. The Lord has blessed me with the opportunity to sell my designs on products to people from all over the world. Thank you so very much for shopping with Little Linda Pinda. Where to Buy Boston Strong Shirts?